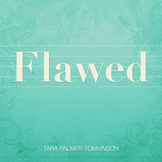 Tara Palmer-Tomkinson has released her new 12 track album ‘Flawed’ alongside debut single ‘5 Seconds’, recenly mastered at Blue Pro Mastering. Tara needs no introduction as a socialite but many will be surprised by the quality of her new single ‘5 Seconds’ and album ‘Flawed”. The album certainly profiles Tara in a manner that has generally been kept under wraps, that of a talented musician and songwriter. To coincide with the release Tara launched single ‘5 Seconds’ on Loose Women this week. The former I’m a Celebrity…Get Me Out Of Here! star gave her first live performance of the song from her album Flawed, which she has been working on since taking part in Comic Relief Does Fame Academy five years ago.